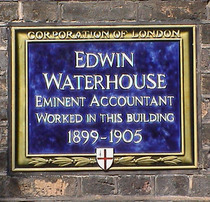 Edwin Waterhouse, eminent accountant, worked in this building, 1899 - 1905. 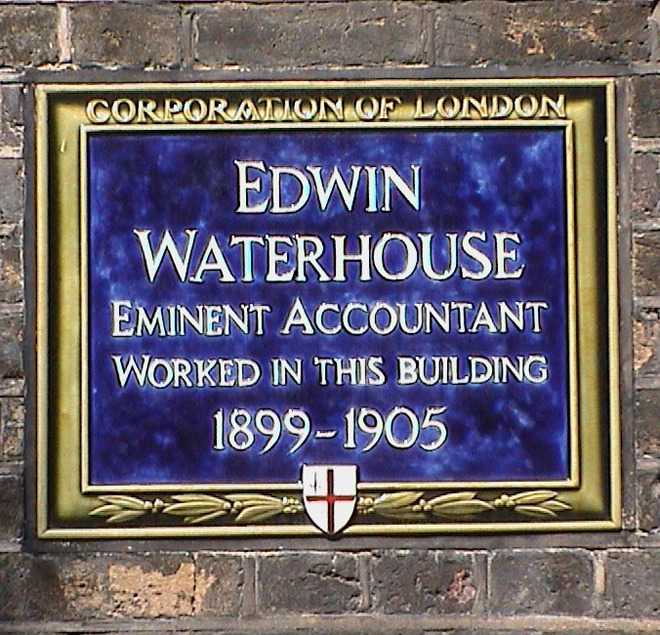 This stone was laid by Sir Nicholas Edwin Waterhouse, KBE, 21st January 1955. Ellen Terry, the great actress, lived here from 1904 to 1920. Gandhi lived here in the 1890s, whilst studying law at University College.